Working hard has physical consequences. Even if you generally take good care of yourself and are overall pretty healthy, a full day of work can leave you feeling burned out and exhausted by the time you get home around dinnertime. Just because hard work takes a major toll on you physically doesn’t mean you can’t still take care of your body in the hours you don’t spend hard at work in the office. Here are 5 things you can do to recharge your body after a full day of work. Hint: it doesn’t involve doing more work. When the day is almost over and you feel like you have had enough, the absolute last thing you will want to do is work out after you clock out. Fortunately, or unfortunately depending on how you look at it, working out when you are exhausted actually makes you feel more recharged. 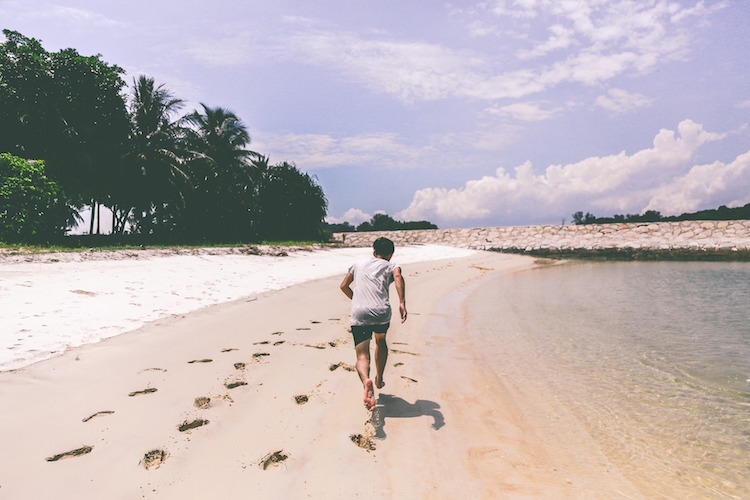 Engaging in physical activity on a regular basis has multiple health benefits, including its ability to energize you, even after a long day of work. It both strengthens your muscles and builds up your endurance, so that over time you will be able to better withstand those long, hard days. In the short term, working out after a long day will get your heart rate up and pump blood at a more rapid pace through your body, which overall helps you feel more physically awake and capable. You won’t feel fatigued in quite the same way. So even if every single muscle protests at just the thought of lacing up your sneakers, push through it and start sweating anyway. It is worth it. It’s likely you just spent eight hours or more trapped in an office without very many chances to go outside, and that is probably one reason why you feel so worn out. Humans need to be outside at least some of the time, to breathe in the fresh air and to remove ourselves from the man-made stressors of the civilized world. Stress is just as physically exhausting as it is mentally harmful, especially when you’re stuck inside without any fresh air to breathe. Spending time outdoors can help us relax and recharge because it eliminates the majority of the common stressors we face in our everyday lives just by physically walking away from them for awhile. Your time outside doesn’t have to be extensive or complicated. Take a walk or sit on a bench. Breathe. It won’t make the sources of your stress go away, but it will make you feel physically better by, in a way, transporting you to a completely different world, at least temporarily. Your body doesn’t always feel great after a long and full day of work. Your muscles probably ache, and fatigue is really making you wish you could just stay in bed all day tomorrow. You need something to warm up those sore muscles while simultaneously relaxing them, which will help your body recharge. Just hop into the shower for 15 to 20 minutes when you get home. A hot shower will relax all your muscles and make you feel calm. It will also help you breathe more deeply, which gets more oxygen flowing to your brain, which helps calm and relax you even more. If you add this into your evening routine, it can also give you something to look forward to during the day. It’s been a long day. Probably the worst thing you could do for yourself when you get home is continue to do work, especially if it means you have to keep standing and moving around. Your body does have limits; you can only push it so far before you end up exhausted and burned out. There’s an easy way to prevent this, though: sit still. Change into something comfortable and just let yourself sit down for awhile, not doing any work. Lean back. Put your feet up. You might be surprised how doing this for just 20 minutes in the evening can completely relax you and help your body begin to recharge itself. It doesn’t matter what you do while you’re sitting there: the important thing is that you just let your body rest. Watch a movie or TV show. Read a book. Play a game. This is important especially if your job requires you to be on your feet all day. You deserve some time to just sit still. We don’t come equipped with a built-in off switch. That makes it difficult for us to wind down after a full day of running around meeting demands, running errands and completing other tasks. Our heart rates need to slow down. Our heads need to clear. We need to slow ourselves way down. Sleeping is extremely important for allowing our bodies to rest and recharge, but easing yourself into it is much more effective than trying to straight from 100 miles an hour to deep REM sleep. In order to sleep better and recharge your body overnight, you need to start early. At least an hour before you plan on going to sleep, put your laptop and phone away. Turn off the television. Do something that relaxes you, such as taking a shower or reading a magazine or journaling. Prepare your body for a long night of good rest, so when it’s time for lights-out, you will be more likely to fall asleep almost immediately. Things as simple as working out, spending time outside and taking a shower can help begin to restore you physically and help you recover from your day. Don’t forget to sit still and wind yourself down when all your work is done and put away. Remember that it is okay, and healthy, to relax. There is little to no reward for pushing your already fatigued body even further past its physical limits. Give yourself a break, so you can recharge and do this all again tomorrow.